I have a chronic case of writer's block. I know, it's true, I'm not really a writer. But I feel like most of my previous posts have come to me with ease, writing exactly what I'm thinking. Sometimes I was even funny, I thought. Well, not anymore. Work has sucked the life out of me, and now you are all stuck with a lifeless, boring, blogger. I don't even feel like I'm truly categorized as a 'blogger,' so I'm really just a lifeless, boring girl who happens to have a cooking blog, sharing tasty recipes to you with no charm or wit. Please, ignore me but not the food. I know my intro has really tempted you to keep reading, but please do. 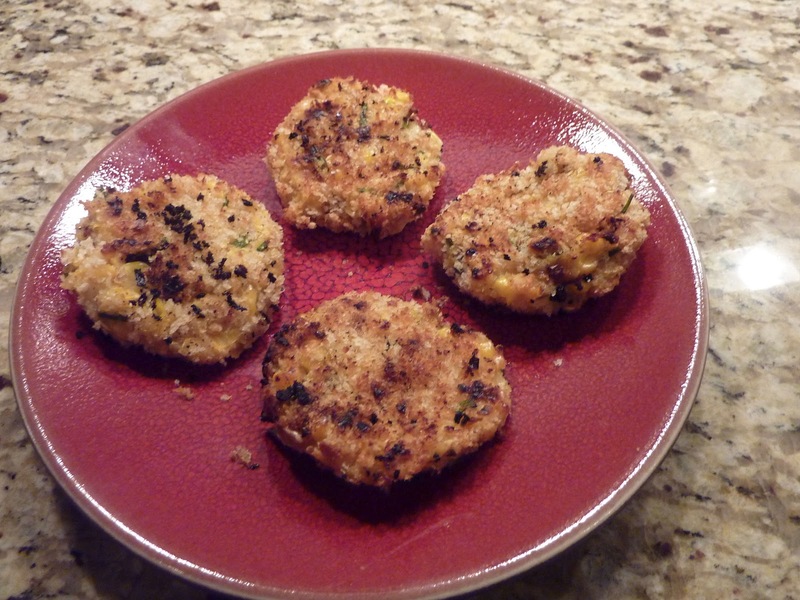 These grilled corn patties were soooo good, and a solution to a problem I have endured for quite some time: what other truly delicious side dishes exist that are not some form of potato??? Well, here they are. And they still conveniently include chives and sour cream. Heat the grill to medium high. Place the corn in the bowl of a food processor, and blend until semi-smooth - you still want plenty of full corn kernels in there. 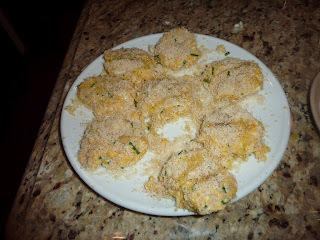 Transfer the corn to a bowl, and mix with the mozzarella, 1/2 cup of the breadcrumbs, chives, sour cream, S&P. Form the corn mixture into patties, then place on a plate and refrigerate for about 20 minutes. 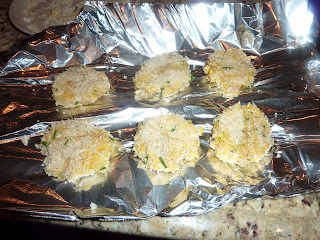 Next, coat the patties in the remaining breadcrumbs and drizzle with olive oil. Place them on a grill pan, or on a sheet of aluminum foil if you don't have that. Grill the patties about 4-5 minutes on each side, and then serve with sour cream. Can we say delicious and fun? I think so.